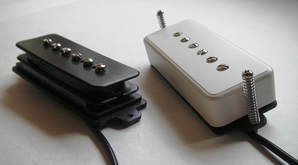 A P-90 pickup with Alnico 5 rod magnets. 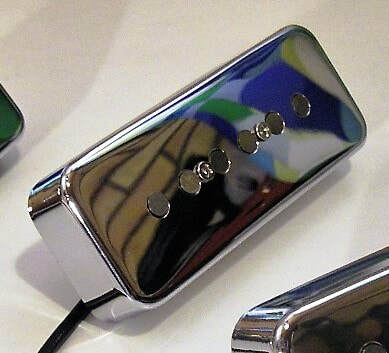 Less midrange, more twang and Strat-like attack. 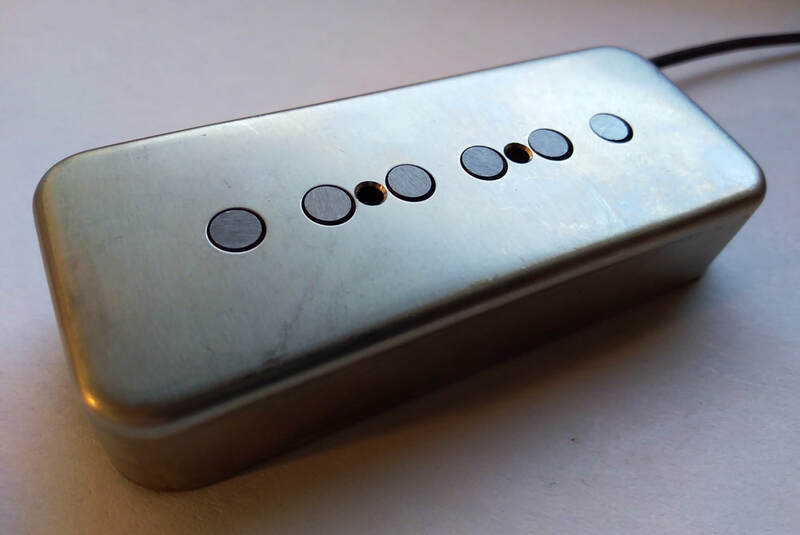 Fits directly into the regular P-90 pickup cavity. 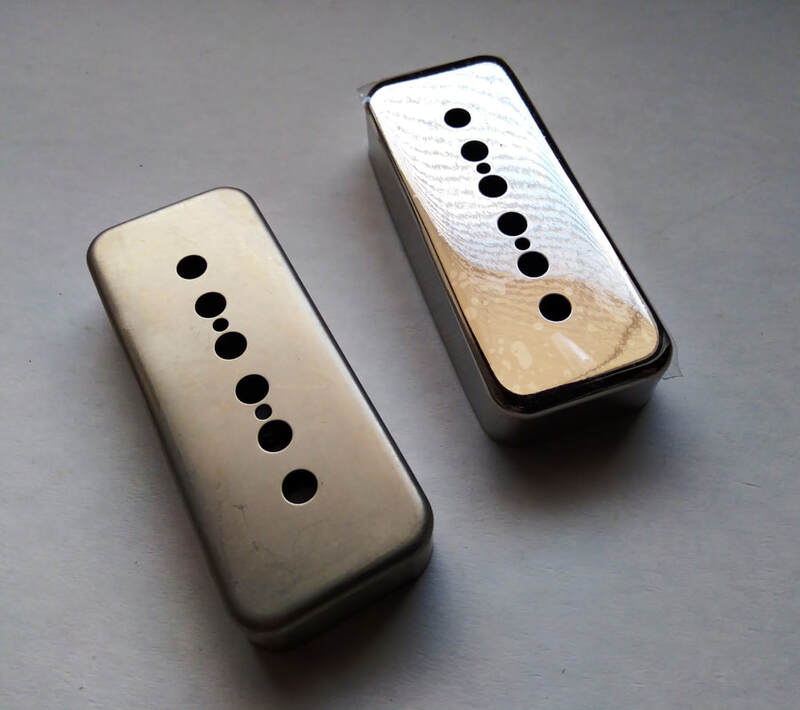 Flat or staggered magnets available. ​Neck pickup RWRP. 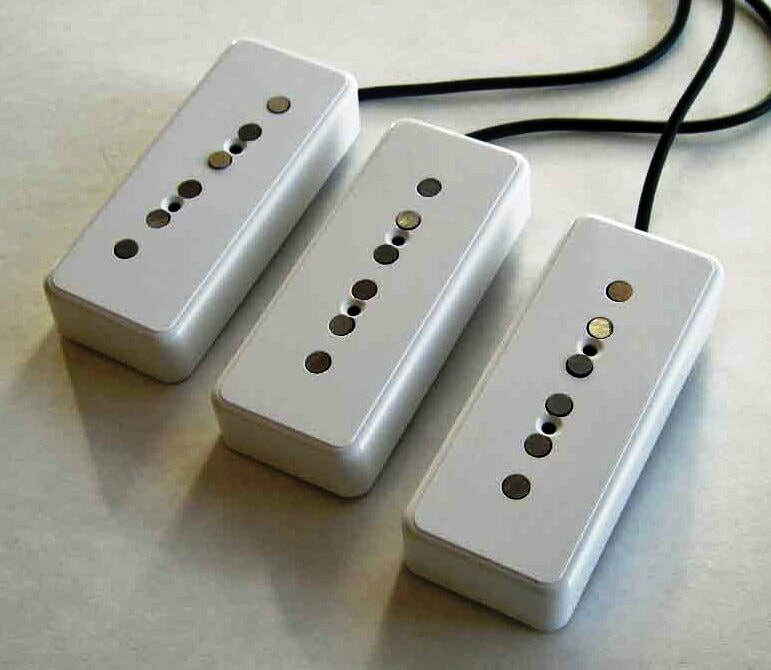 Three pickup set available: Middle pickup RWRP.